China sees a widening void at the United Nations, thanks to President Donald Trump’s “America First” policy. Trump’s skepticism of global bodies and alliances -- his top diplomat recently singled out the UN as an organization that needs to be “reformed or eliminated” -- means Beijing has freer reign to impose its own vision of globalism on the body. This year China surpassed Japan as the UN’s second-biggest donor and analysts say it is using its growing clout to undermine human rights positions, sponsor resolutions that reflect its worldview, and stamp out criticism of its more controversial policies back home. China’s internationalist approach has at times come as a relief to much of the world, especially as Beijing champions environmental accords spurned by the U.S. But Western diplomats are increasingly concerned China wants to use its leadership to reduce the UN’s focus on human rights and emphasize its own version of state-led capitalism. With the U.S. pushing to reduce its contributions, China and Russia last year made a joint push to cut human rights posts at peacekeeping missions during budget negotiations. Though the effort was stymied by Western powers, the two nations did manage to help shutter a smaller unit in the secretary-general’s office charged with coordinating human rights efforts. They are expected to target other human rights posts again this year, several diplomats said. Officials at China’s UN Mission didn’t respond to a request for comment. Even as Trump cedes ground, the U.S. is still the dominant power at the United Nations and other global organizations, footing the bill for about 25 percent of the peacekeeping budget and 22 percent of the regular budget. Chinese diplomats hold two senior positions at the UN compared to more than 20 for the U.S.
And China still doesn’t have the diplomatic heft and web of alliances to push complex agreements such as non-proliferation accords and global sanctions. 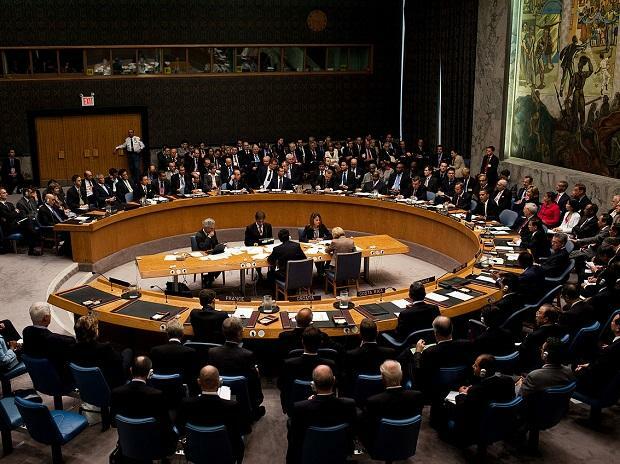 But while China was once seen as a reticent member of the UN Security Council -- using its veto power in very limited situations -- Beijing has recently thrown its weight around more aggressively. It was instrumental in blocking some human rights briefings by tapping into its alliances in developing regions like Africa and Central Asia, where it has become a dominant economic power, diplomats said. Working with Russia, China recently blocked a Syria briefing by Zeid Ra’ad al-Hussein, the UN High Commissioner for Human Rights, even though China doesn’t have major national interests in the war-torn country. With the UN increasingly vulnerable to budget cuts, China also sees an opportunity to use its growing contributions as leverage. Secretary General Antonio Guterres, who as prime minister of Portugal oversaw Macau’s handover to China, wooed Beijing early on, recognizing its emerging role at the UN. In a recent speech, Guterres described Chinese business investments in Africa as an example of “win-win” collaboration, adopting diplomatic language that human rights advocates say signals giving precedence to economic development over civil liberties. While the U.S. abandoned the UN Human Rights Council last June, accusing it of bias against Israel, China has moved to get the council to support its positions. Last year, a China-sponsored resolution calling for “mutually beneficial cooperation” passed, a win for Beijing’s effort to weaken global tactics “like naming and shaming human rights abusers,” Ted Piccone, a senior fellow at the Brookings Institution, wrote in September. China’s approach, much like its “One-Belt One-Road” initiative, is prompting a backlash, especially among Europeans. Beijing tried unsuccessfully to block the accreditation of Uighur activist Dolkun Isa before the UN, and its effort to slash $28 million from a UN body responsible for gathering evidence of crimes against Rohingya Muslims in Myanmar was stopped, according to Human Rights Watch. To gain long-term clout, the Chinese are eyeing more senior roles, including leadership of the peacekeeping organization where it has become the biggest contributor of troops. Brett Schaefer, a senior fellow at the Heritage Foundation, pointed to the mysterious disappearance of Interpol chief Meng Hongwei last year as a sign of a broader concern if China is to take on leadership roles in global bodies.